Dozens of federal class action lawsuits have been filed against employers claiming violations of the Fair Credit Reporting Act (FCRA). This continues a several-year trend of class action lawsuits that have resulted in payouts to applicants and employees, including those who suffered no harm from the defendant-employers’ actions. Many of these class action cases have ended in million-dollar settlements. 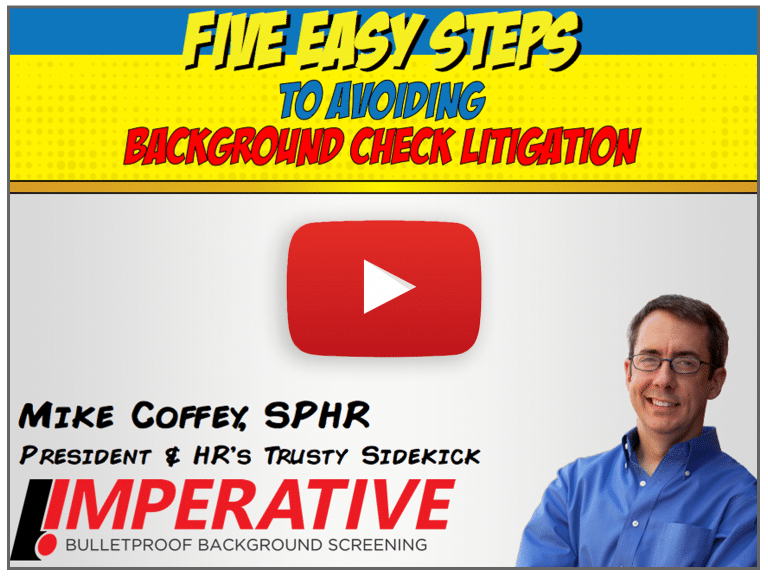 In this presentation, Mike Coffey, SPHR, SHRM-SCP will discuss the common causes of FCRA litigation and how employers can easily avoid them. webinar and receive HRCI and SHRM Recertification Credit! watch at least 45 minutes of the recorded webinar.